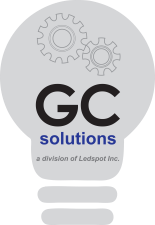 GC Solutions offers various types of procurement services and products tailored to the specific wants and needs of our clients. Sourcing Services – We create an efficient and effective sourcing process; to find the best quality products and services at the best prices. Supply Chain Management – We ensure and facilitate product purchasing, contracting and negotiations with suppliers/providers to obtain profitability targets and maintain our clients technical demands. Import/Export/Logistics – We can arrange all shipping, handling and logistics needs our clients require be it port to port or door to door service. Project Management – Our team of professionals are available to over see your project from the planning stages to completion while maintaining all of the required standards and quality controls.